There's just something about working with flowers. I could go on and on. 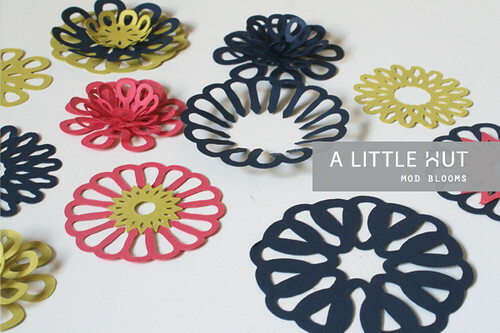 This is my latest set—Mod Blooms. 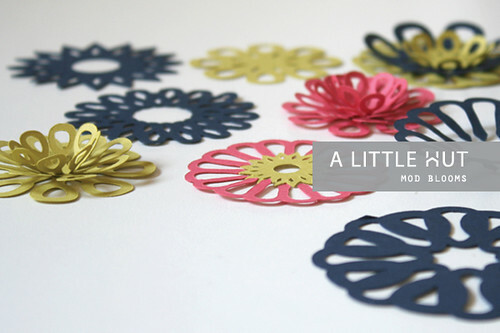 I'll be using these for my holiday gift tags this year—I need to start real soon! 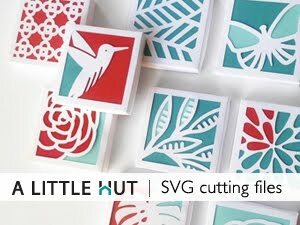 For those of you that have more experience working with cutting files I suggest using these flowers to make intricate lattice patterns and backgrounds. The possibilities are truly endless. 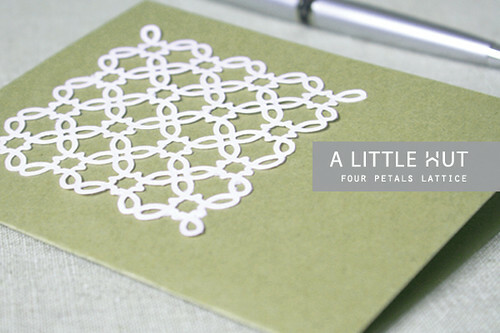 I briefly mentioned my new Four Petals Lattice yesterday. Here it is again used as an embellishment for a greeting card. The flowers can be used the same way. I like putting off to one side the way I used my Valentine Hearts. A simple graphic image and contrasting paper can make a huge impact. For those of you that have asked—before getting my Cameo I was using a Cricut Expression and Sure Cuts A Lot. That set up is not available because SCAL no longer supports the Cricut. I have an old copy of the software and haven't updated the firmware of my Cricut.